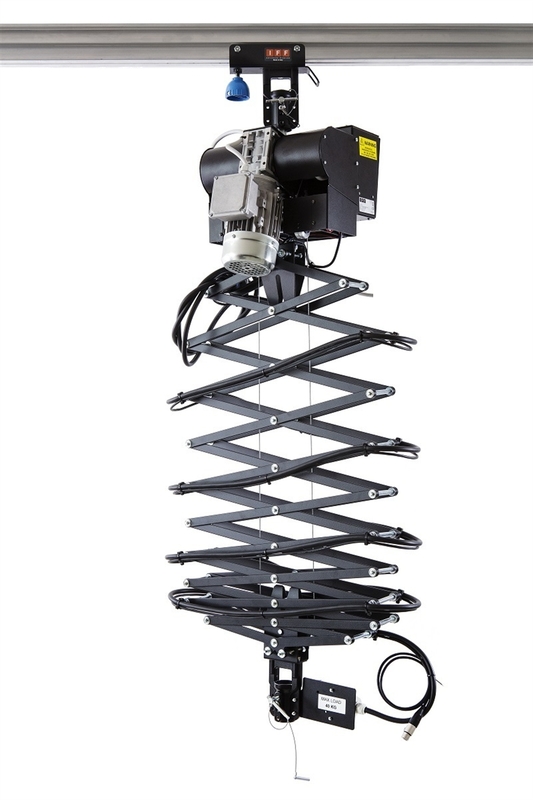 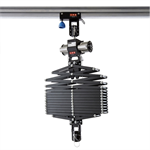 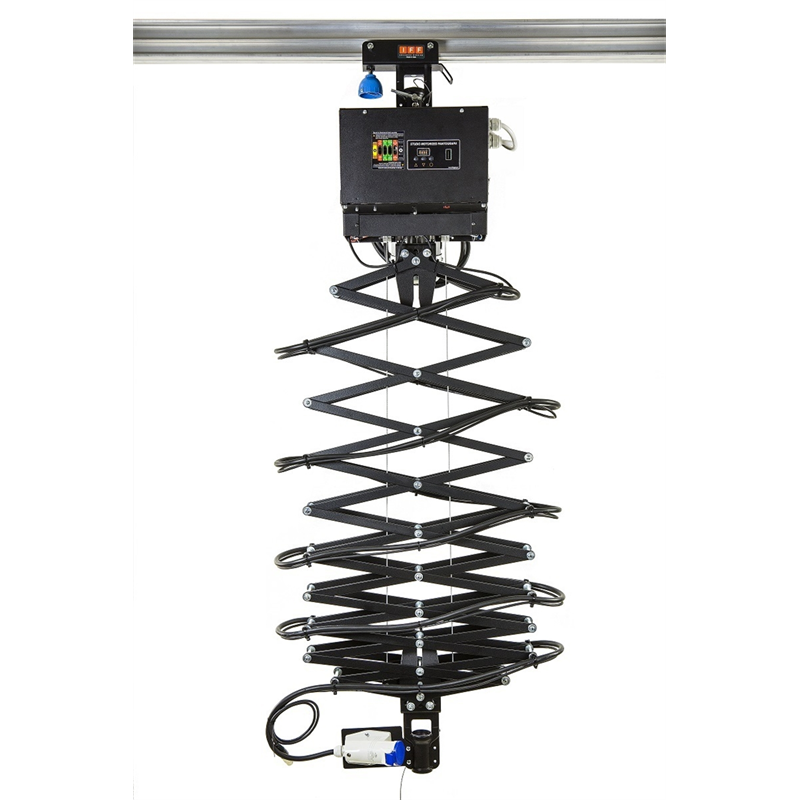 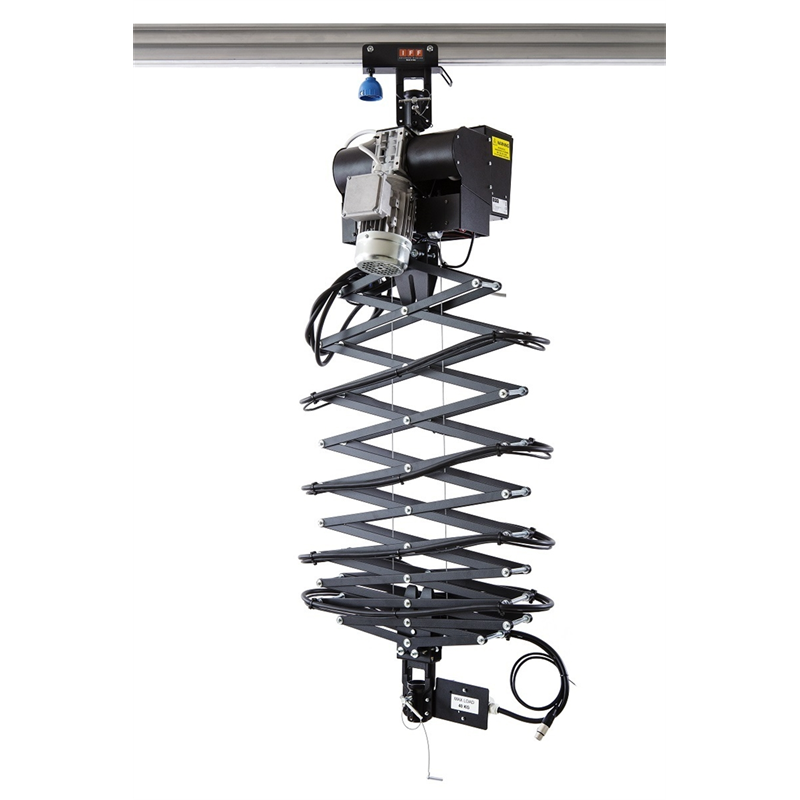 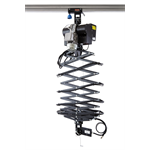 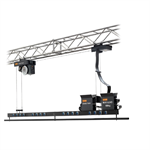 The Studio Motorized Pantograph provides a very flexible system of suspending luminaires of up to 40kg with ease and precision. 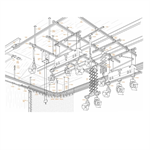 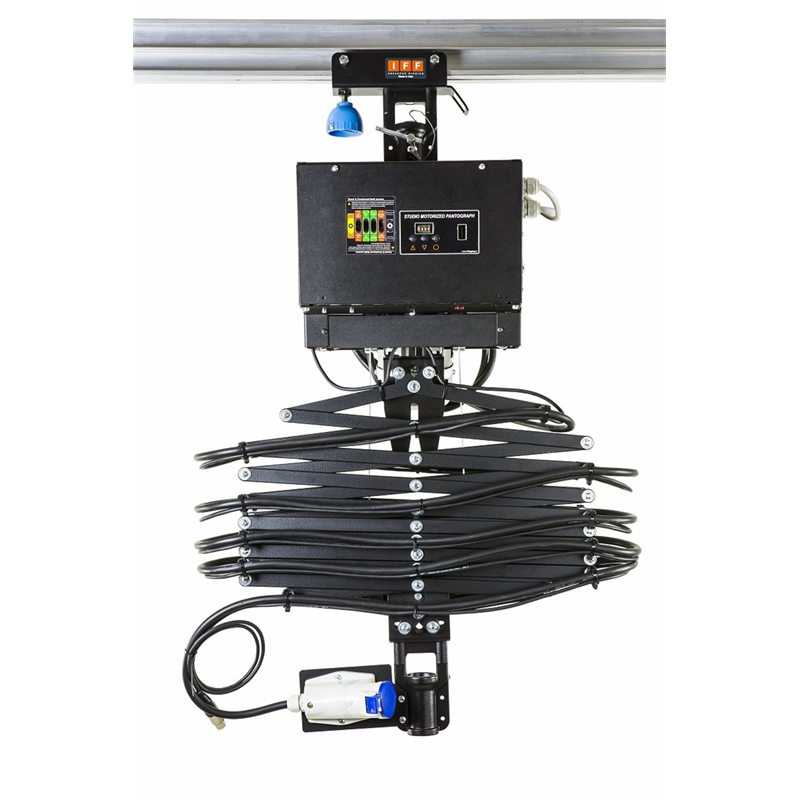 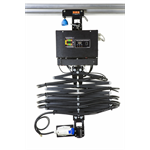 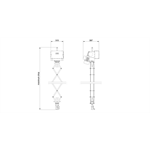 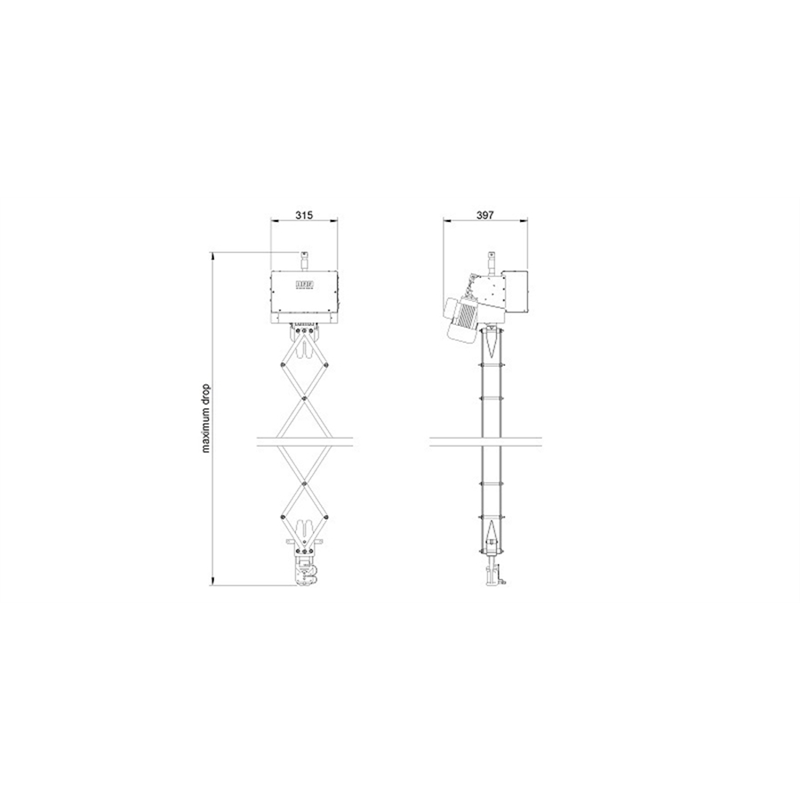 This pantograph incorporates a twin wire rope system for raising and lowering the luminaire cable. 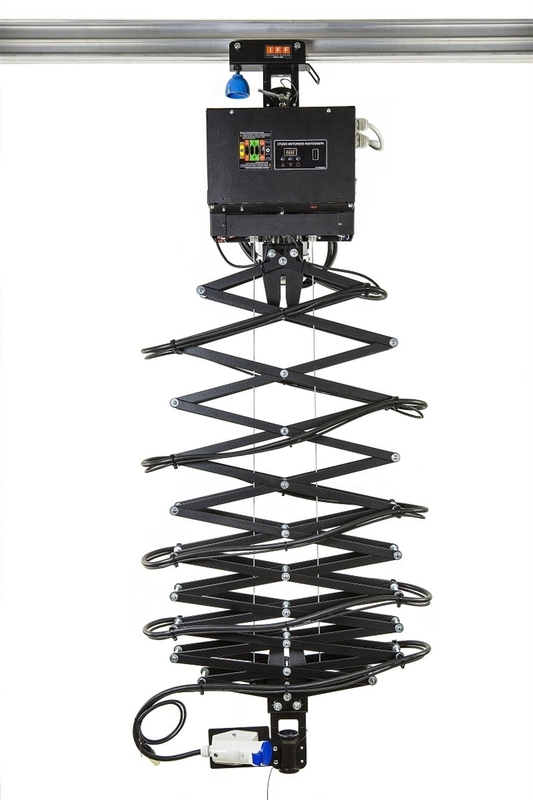 The pantograph is dynamically and statically irreversible thanks to its static and dynamic efficiency (<0.5). 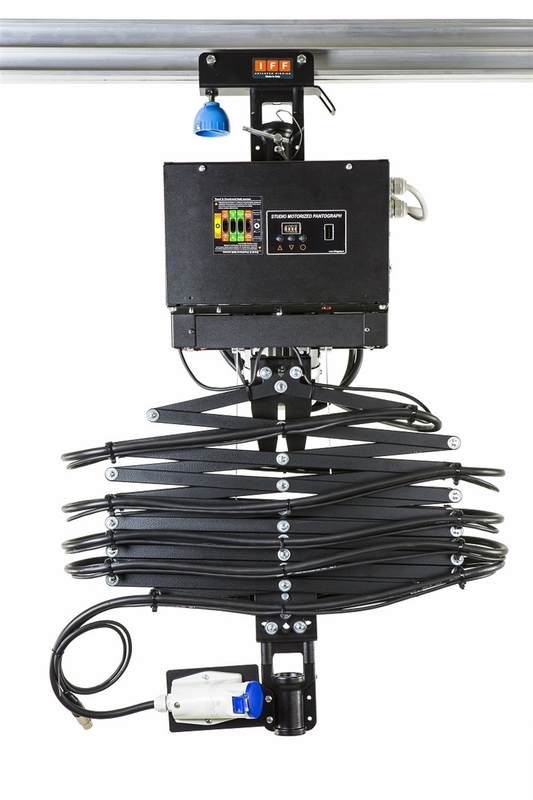 Important: it is complete with electric reverse control for the up-down movement; it can be operated with a pole or from a distance by console. 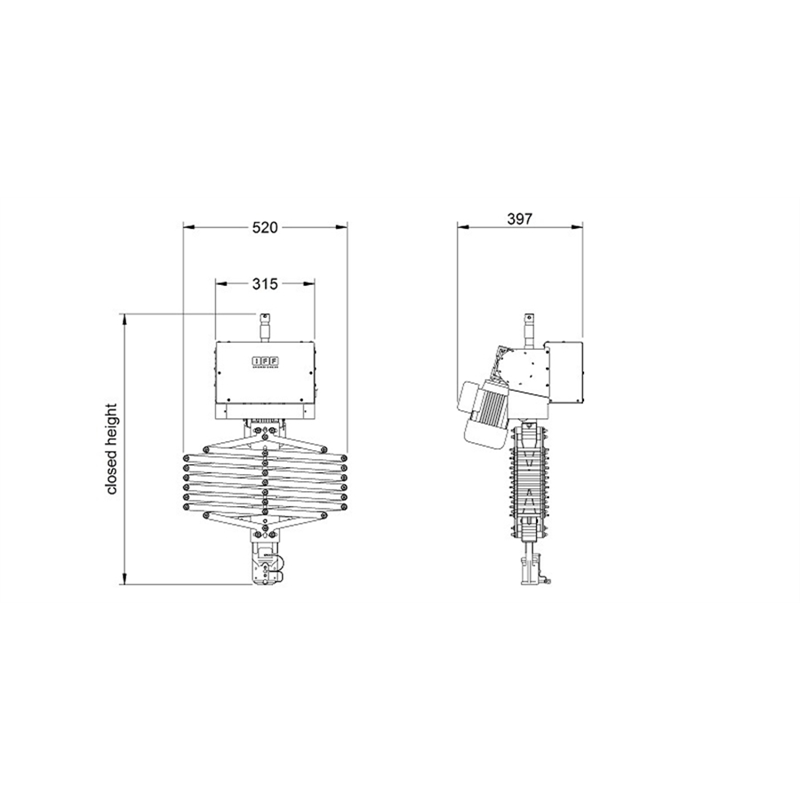 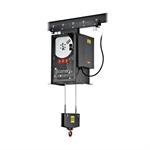 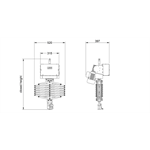 The self-locking drum winch with two steel cables support loads under static and dynamic conditions. 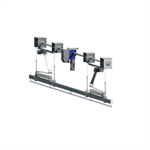 The specially designed double scissors mechanism adds extra stability and is furnished with cable clips for power cables. 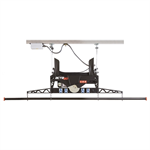 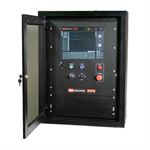 The pantograph is manufactured in accordance with the DIN 15560-46.